Once you've created an employee roster, you can print it out so that it's easily accessible from within your workplace. 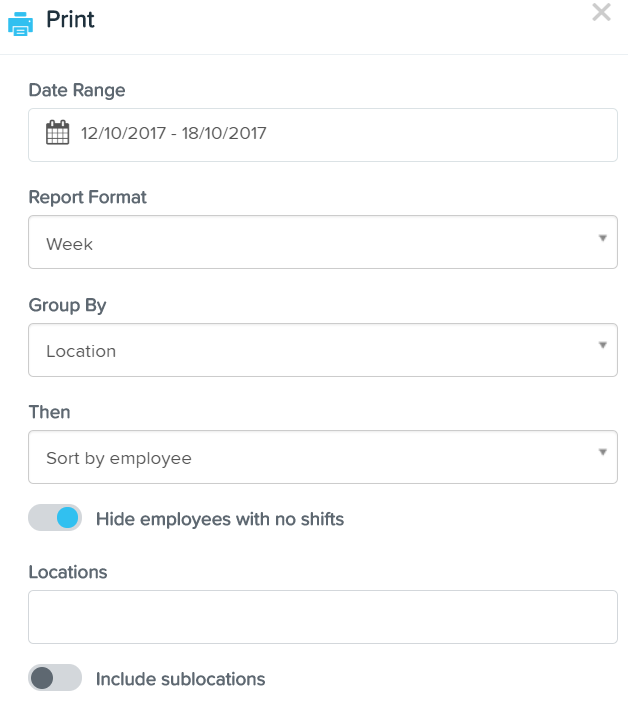 Printing an employee roster is made simple by the print specific view that allows you to easily print a nominated period of shifts based on your current filters and additional ones that can be selected before printing. 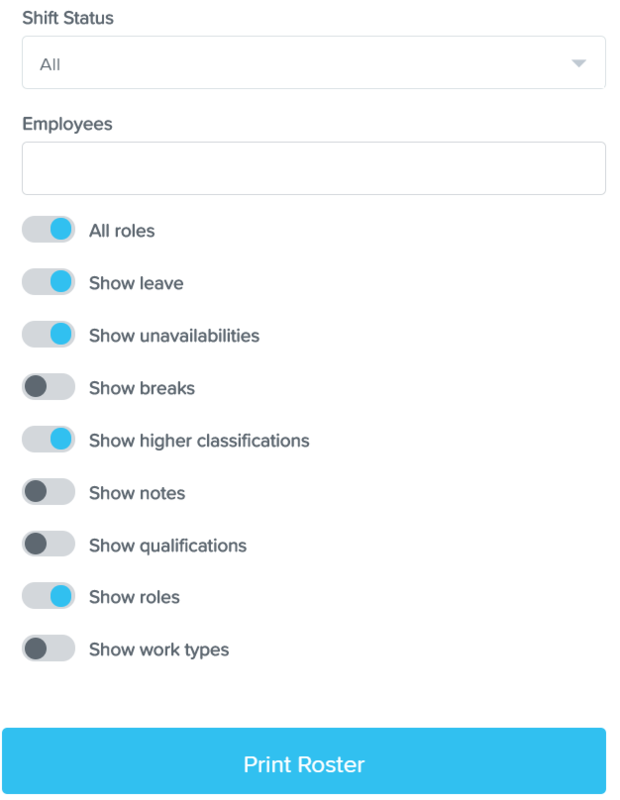 - Option to show/not show - Roles, Leave, Unavailabilities, Breaks, Higher Classifications, Notes, Qualifications, Roles, Work Types. You will then be presented with a print optimised view of the roster which you can then print out.